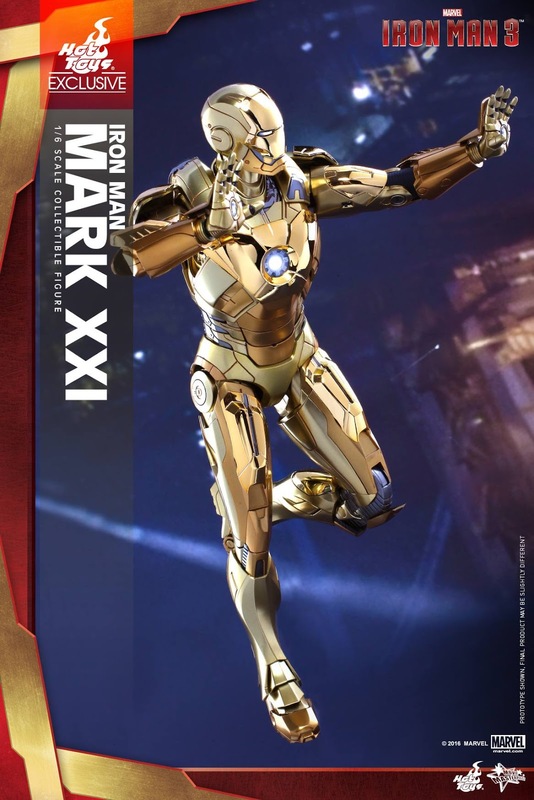 Part of Hot Toys new flagship store opening in Shanghai China commemoration. 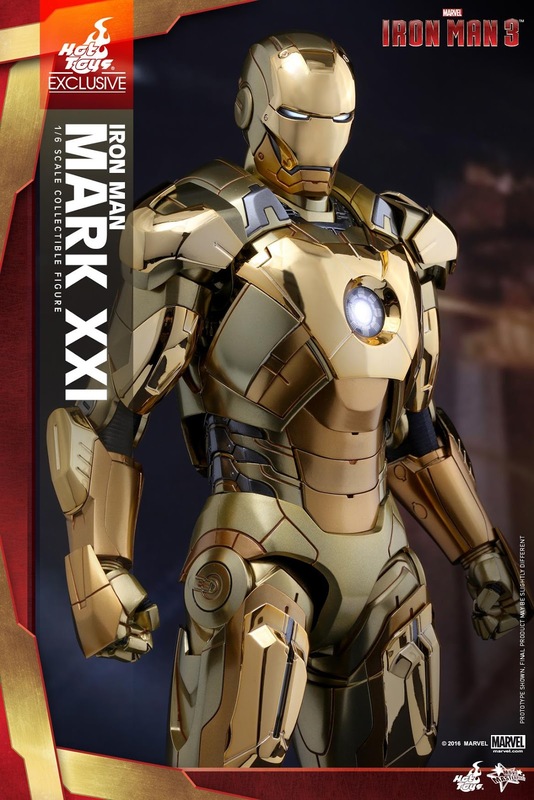 Hot Toys is very excited to announce its first new flagship store in Shanghai, China is officially opening tomorrow! 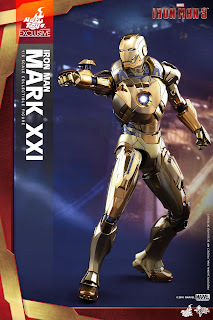 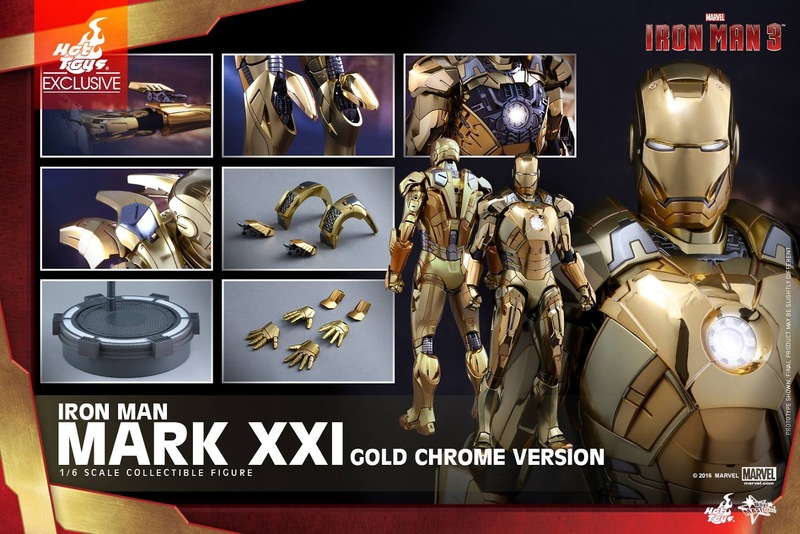 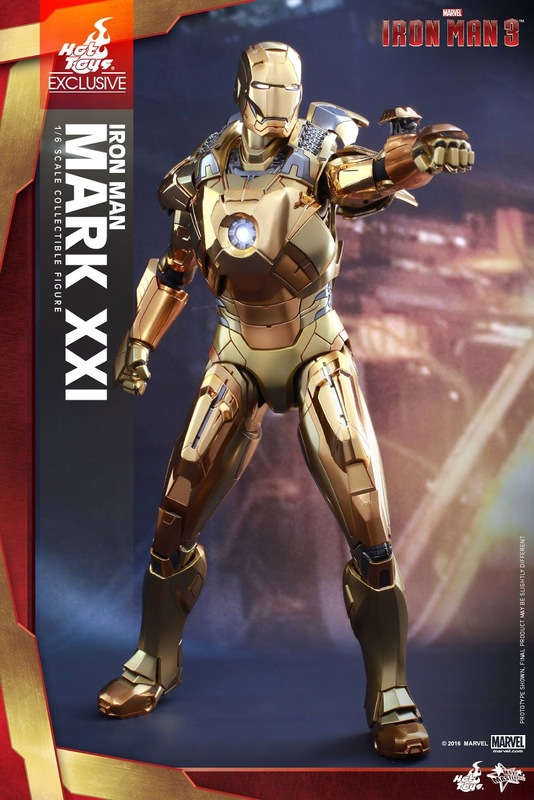 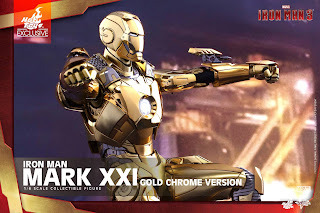 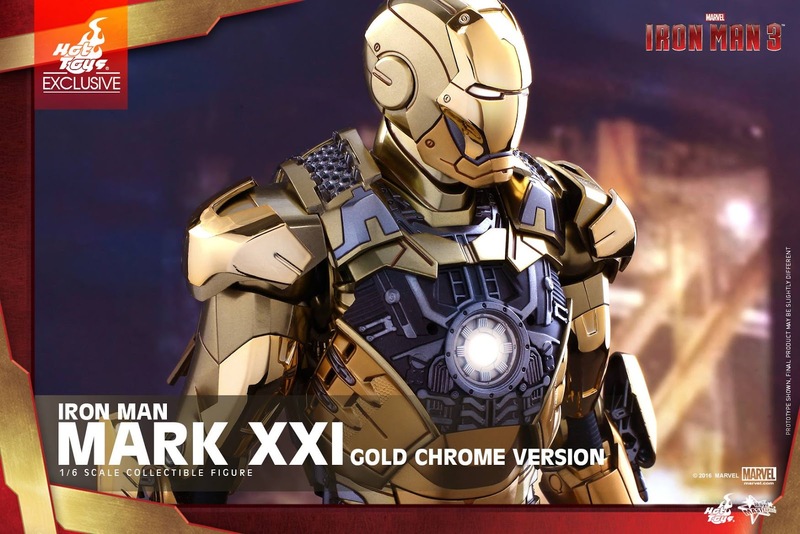 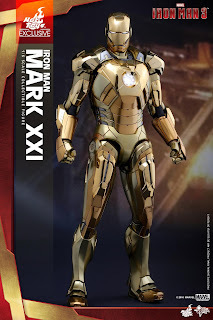 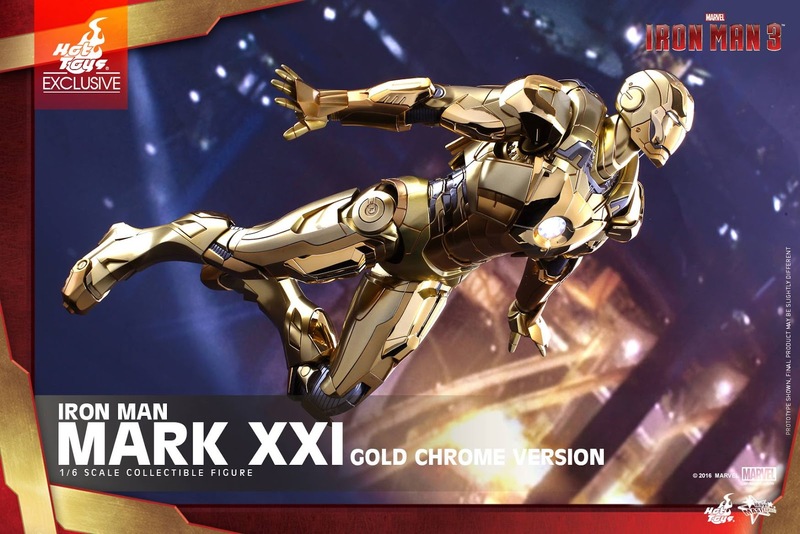 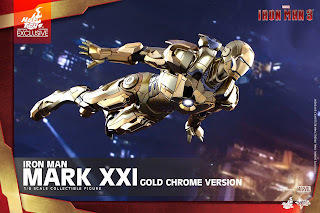 To celebrate this tremendous milestone, we are pleased to introduce the new version of the 1/6th scale collectible figure that has been highly-popular among fans – the Iron Man Midas Mark XXI (Gold Chrome Version) as an exclusive item only available at our new store for the Asia Pacific region! 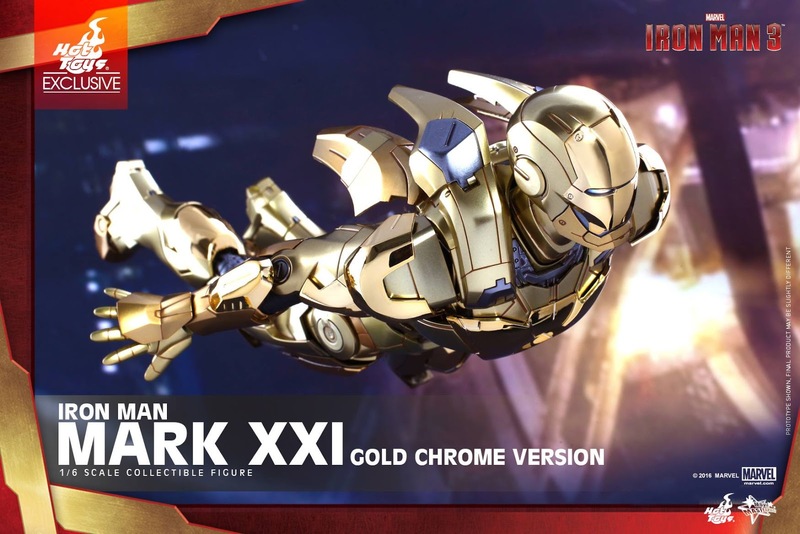 Built for the “House Party Protocol” in Iron Man 3 by Tony Stark as a high-altitude suit, this Midas Mark XXI collectible figure features all-new gold chrome armor parts throughout the body complementing the multitude layers and shades of metallic gold color, LED light-up functions in eyes, chest and palms, interchangeable armor parts, and a dynamic figure stand. 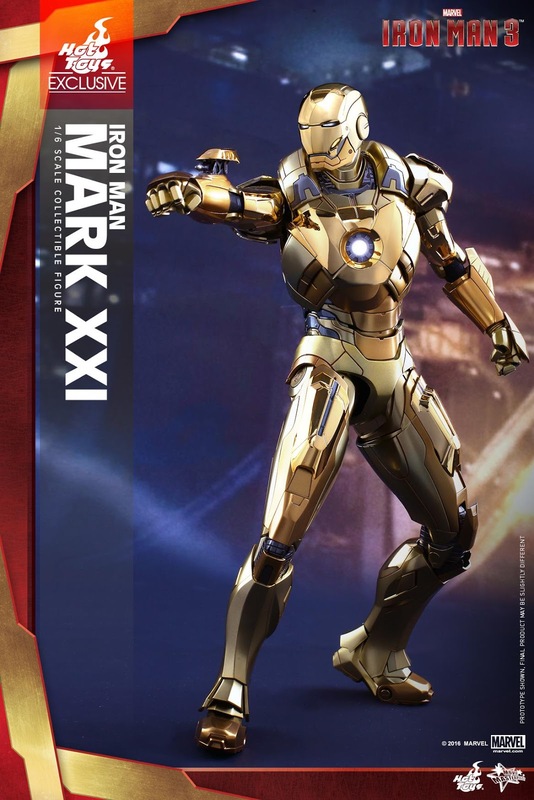 Iron Man fanatics shouldn’t miss the chance to visit our new store and add this rare and remarkable Iron Man to your spectacular collection!